The name may look a bit complicated, but their mission is very simple. 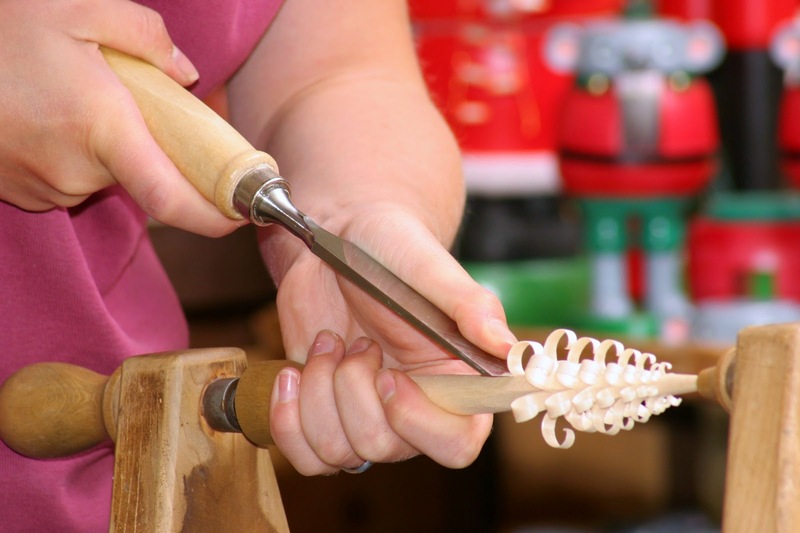 Erzgebirgische Volkskunst is producing traditional wooden holiday decorations using the same handmade process from centuries ago. Take a look at their German workshop and learn a little history straight from the Ore Mountains. A. Our studio is located in Seiffen, Germany, in the Ore Mountains. 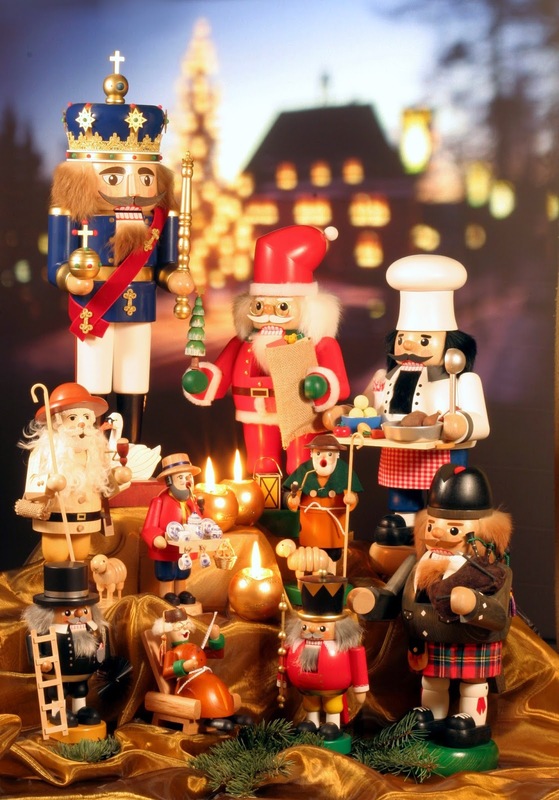 A. Seiffen in the Ore Mountains is the traditional place for wooden Christmas decoration. The history of the Ore Mountains was largely shaped by the mining of its rich deposits of ore following the arrival of the first human settlements. The mining of ore became one of the main ways for people in the region to earn a living back in the 12th century. However, when the deposits of tin, silver and copper began to dwindle in the mid-17th century and mining became increasingly insignificant, many miners were forced to turn their hand to activities like wood-carving and lathe work in order to make a living. Nevertheless, mining activities provided an endless source of subjects to be depicted in wood in the evenings. Typical varieties of local craftsmanship such as creating wood-shaving trees made arts from the Ore Mountains world-famous. These traditional techniques and designs continue to be nurtured with great love and creativity. Q. What does the look of your studio say about your company? A. Our artisans are friendly, helpful and hard working. 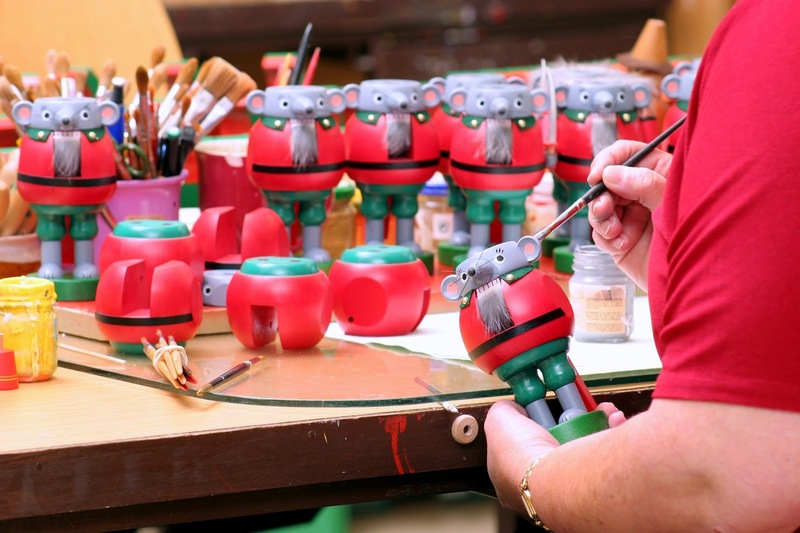 In our workshop you can see all steps of production from the machines, the painting, the gluing and the packaging. Q. What does a typical work day look like for your artisans? A. In our workshop the regions traditional craftmanship is brought together by a team of turners, painters, master toymakers and designers. People from all over the world vist our workshop every day and are enthusiastic about the filigree work and the long production process. A. Our company is manufacturer of nearly 800 articles like pyramids, smokers, nutcrackers, music-boxes, arches, etc. Q. How do you stay inspired? A. Our designers are inspired by the tradition and the past of our history but also by current events. Inspiring indeed! Thank you to all at Erzgebirgische Volkskunst. 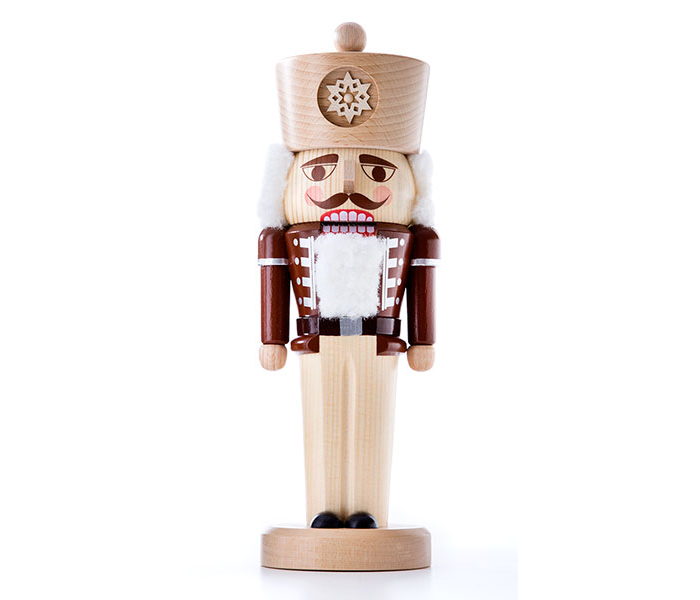 Click here to purchase our German Nutcracker.